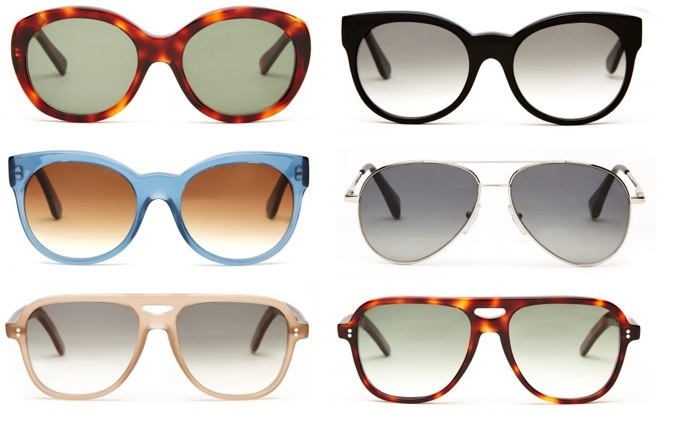 Luxury leather specialists, The Frye Company has launched a sunglass collaboration with Cutler and Gross for SS15. Renowned for their high quality products, both brands pride themselves on their exceptional craftsmanship and exclusive artisan edge. Available in five unique styles, the 12-piece collection contains both female and unisex options, making for a versatile display. Featuring a combination of both classic and modern looks; from the Orchard aviator to the Wooster wayfarer, the revival of traditional styles is accompanied with a mix of subtle colour. Neutral tones juxtapose hints of fiery tortoiseshell and sky blue, adding a touch of eccentricity, while the contrast of opaque and transparent frames highlight diversity in the range. Exclusively available at The Frye Company online; the collection combines Italy’s distinguished construction process with New York’s iconic style; creating the perfect mix of luxury.